Possibility to make any metal shingle pattern in a standard or symmetrical version, or to create own designs unknown on the market. 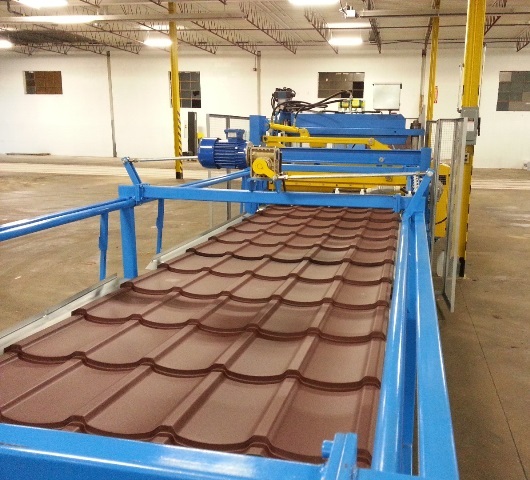 The machine can make metal roof tiles with one module, two modules or of any length. 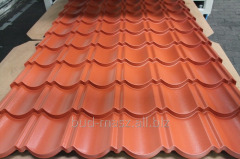 Unbelievable price on Line for the production of metal-tile D20 STASIA Symetric in Lutomiersk (Poland) company P.W. "BUD-MASZ" MACIEJ STACHLEWSKI.